TripGourmets nominated for a Blogger Recognition Award! We had been thinking for a while that we would like to write some posts highlighting some of our favourite travel bloggers. However, a short while ago we found out we have been nominated for not one, but two awards by other travel bloggers! This post is about our nomination for the Blogger Recognition Award and we are very excited to share the news with our readers. Plus, we are even more delighted to share with you the top travel bloggers we love! Recently, we received a post via our Facebook page from our friend Vanessa at Wandersmiles, who is a massive hiking fan, and blogs about her wild travel adventures. She told us she had nominated us for the Blogger Recognition Award. We originally met Vanessa through her amazing Instagram feed. However, we have since been following her on multiple other networks as well as being big fans of her blog, which showcases all her intrepid adventures. A big thank you to Vanessa for nominating us for the Blogger Recognition Award! This award is given by bloggers to bloggers. This is a way of recognising those who put tireless hours into creating compelling content and a valuable online presence. TripGourmets Sarah and Tom have always loved to travel and experience local food, history and culture. We also more recently discovered a shared love of adventure experiences. At some point in the last 18 months, we made a decision to make travel a focus in our lives. In order to stick to this, and as a way of sharing our travel stories with our friends and family, we decided to start the TripGourmets blog, with a focus on travelling for food, culture and adventure. We knew zero, nothing, nada about blogging when we started! However, we have discovered that blogging is a journey and not a destination, and every day we try to learn something new about the online world, like for example how important SEO is. As our blog grows, so do we. Do you want to know why we decided to travel around the world? Then check out our post about Full-Time Travel, why we decided to take the plunge! Starting out in the online world can feel very lonely in the beginning. However, we know that we would not have lasted as long or put as much effort into our blogs without the support of our amazing network, who are now fittingly styled as the Travel Tribe. Many of these awesome folk are featured in this post! We would advise any new blogger to immediately start both a Twitter and Instagram account, and start joining Facebook groups in order to connect to as many others in the same niche as possible. If you want a long list of travel bloggers than this in order to kick-start your network building, then check out this list from Shawn at The Smart Lad of the Top 100 Travel Blogs you should be following in 2017. We have had many, many days where it feels totally overwhelming with everything there is to learn about blogging. WordPress, SEO, coding, writing, editing photos, videography, social media marketing. The list is endless. Often can feel like everyone else “gets it” and you are the only noobs left wondering what it’s all about. The best advice we can give is to STICK AT IT. Keep writing those posts, taking those pics and posting them on Insta, putting your YouTube videos up, sending those Tweets and reading from the experiences of other bloggers. You will see your audience grow, your social media followers go up, you will learn and develop and you WILL get better at blogging. Quitters never win, and winners never quit. Cathy and Frank at RoarLoud love hiking, street art and also blog about their beautiful home stomping ground of New England over at Nothing But New England. Cathy has more energy and enthusiasm than literally anyone we know online. She also hosts a monthly street art chat on Twitter and runs an Instagram account promoting the best street art she finds. Kelly and Adam at Destination Addict are full-time travellers and adventurers who have been on the road since January 2017 fulfilling their travel dreams. They have epic plans to cycle across Europe from Manchester to Iran, taking in 15 countries over 100 days. In doing this, they will be fundraising for the mental health charity MIND. Go ahead and give them a read. If you have a few pennies to spare, drop them a donation too! 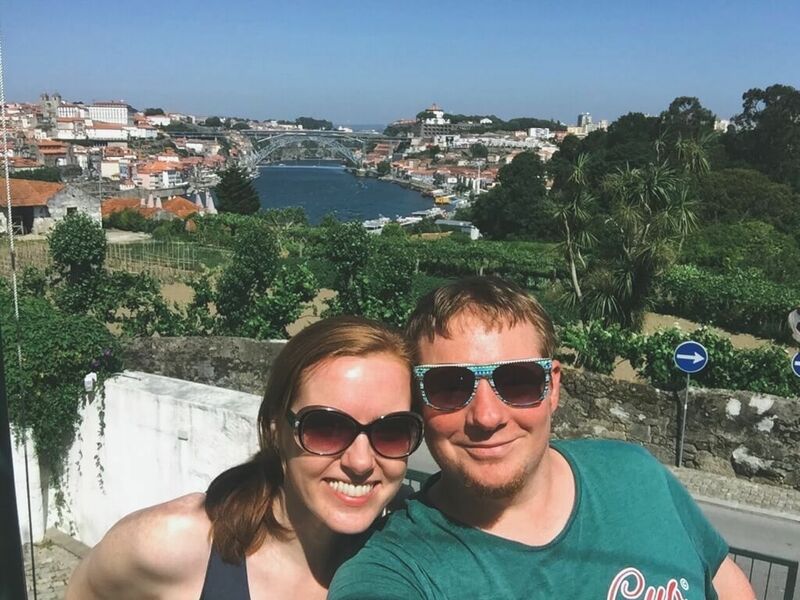 Gemma and Craig at TwoScotsAbroad are not just travellers who share epic posts about their amazing 17-month budget jaunt around the Americas and Europe. They also run a great School of Blog on their site too, where Gemma shares loads of useful tips and resources for noobie bloggers. She is something of an SEO genius too. Darren and Rebecca at iZogAdventure are possibly the newest travel bloggers on this list. However, that’s because they started the online life as vloggers and therefore their YouTube channel is chock-full of vlogs about their travels in and around the UK and beyond. Their videos feature all kinds of different adventures and activities around the UK. Also, check out their vlogs about the weekend they spent in Basel visiting us in person! Chad and Stef at TouringTastebuds are fun-loving food and adventure bloggers/vloggers. They travel around wherever possible with their adorable four-legged companions, Millie the dog and Ace the cat. Stefanee takes care of the blog and their awesome Insta feed. Chad manages their YouTube channel and entertains the TravelTribe daily on Twitter with his on-point gifs. Linda and David at Retired and Travelling are bloggers and photographers who are making the absolute most of their retirement. Scuba divers and chocoholics, they are currently enjoying an epic multi-stop luxury cruise from the Baltic Sea down to the Atlantic in Portugal. And making all the travellers on Twitter envious with their awesome photos from their trip! Charlie and Kristina at MapTrotting are a British/Lithuanian full-time travelling couple. Their inspiring story can be read in full over at their blog. However, in short, they decided one day to quit London and now they travel and blog full-time. Their blog is packed full of tips for both travelling and blogging, providing inspiration and encouragement to us that we can do the same on our upcoming big trip. Pam at Always5Star is your one-stop shop for everything to do with luxury travel (and champagne!). She has spent years perfecting the art of extracting the utmost luxury value from every trip and travel opportunity, without breaking the bank to do so. Pam now shares the benefit of her experience with those of us who love the finer things in life but prefer avoiding the price tag to match. She is also the Queen of the Gif amongst the Travel Tribe on Twitter! Elisa at The WannaBe Gypsy is one of the most budget-savvy travel gals out there. As a stay-at-home mom who also home-schools her eldest, she somehow finds the time and energy to blog about family travel. Plus, she is a massive foodie fan like us! She also has a huge affinity for European travel, coupled with a wicked sense of humour. Marcella and Tim at A World With You are Canadian couple bloggers. This pair of determined adventurers prioritises travelling in their spare time above all else. They are currently making us all envious of their recent epic trip to Iceland which they are sharing via a series of blog posts and vlogs on their YouTube channel. Alyson at MyVirtualVacations is another luxury travel blogger but with a slant towards cruises. Her blog features reviews of different cruise lines and their destinations. In addition, there is also comprehensive information about the cabins, dining and entertainment options. Lynn and Justin at Mad Hatters NYC are massive fun and endlessly enthusiastic about their beloved Big Apple and life in general. Everything about their blog and social media presence is just infectiously giggle-worthy (yes, that is a word!). And I am in total awe that they find so much original content in NYC to blog about. Although, they recently blogged about a trip to Austin, Texas. Which has now become yet another city on our never-ending bucket list! Amber at 48 Hours in Europe is an Aussie lass living in London. Her blog is so named because 48 hours is the average length of the trips she takes. And boy does she pack it into those 48 hours! Her blog has entries on many of the lesser trodden cities in Europe. Think Ljublana, Bergen, Split – if you don’t know them, then give her blog a read to find out more. Solo Brit traveller Amit over at Forever Roaming the World is a blogger we only recently discovered via Facebook groups. This dude is so inspirational. In his own words,”It was only after I started to roam the world that I didn’t feel lost”. He has great tips for budget travel, and is another full-time traveller that inspires our big trip success! Thank you to all our amazing Blogger Recognition Award nominees for support, inspiration or both. If any of you want to share some blogger love, get busy choosing your own list of travel bloggers and follow the instructions above. We will look forward to reading your posts! You are most welcome, we love your blog! And yes… very easy as a blogger to feel that everyone else gets it and you don’t 😉 Thanks for the Insta mention – Tom has spent a lot of time learning about photography so will be happy that his efforts are paying off! Thank you so much for including us in your list and congratulations on your much deserved recognition! We absolutely love being connected with y’all through all of these platforms and can’t wait to keep seeing all of your adventures! Safe travels on your big trip, we can’t wait to follow along! Hi guys. You are very welcome 🙂 We think you absolutely deserve to be on this list! It’s awesome to have friends like you who love blogging as much as we do. We’re also looking forward to follow you and try some of your tasty recipes! BIG Congrats on your nominations guys ? Love all of the tips at the top & totally agree on getting those social media accounts set up, they have been amazing for us too & we love the travel tribe, such an awesome & inspiring group to be a part of! We feel so honored that you have mentioned us in your list, thank you so, so much. Congrats to Sarah & Tom on the Recognition Award – you guys are so deserving of it. You’re both very inspiring, supportive of everyone in the travel tribe, engaging and fun! So grateful to have met you and continue to getting to know you guys. I’m excited to see and follow what the next year brings for you both as you take on your epic travel journey! Thanks also for the mention! You are so sweet and I’m flattered to be included in the rock star list of travel bloggers! This might be my favourite comment EVER Elisa! <3 Thank you so much 🙂 We love being part of the online travel community and look forward to seeing how we all learn and grow more through being part of this awesome tribe! You are also very welcome! Too sweet, thank you for mentioning us:) I may have a bit too much energy at times! Congrats on your double nomination! I think your advice is great, and I love that you provided so many helpful resources in this post! I’ve really enjoyed getting to know the Travel Tribe, you all inspire (and make me laugh!) everyday. I’m so excited to follow along on this new chapter of your adventure! Thanks Lynn for reading and for your lovely comment 🙂 We love being a part of the Travel Tribe community and really enjoyed writing this post as it meant we had an excuse to spend an entire afternoon doing nothing but looking at awesome travel blogs! Here’s to happy travels for all! I think your advice is great, and I love that you’ve given all of us so many helpful resources in this post 🙂 I’ve thoroughly enjoyed getting to know the Travel Tribe, you all inspire me (and make me laugh!) everyday. I’m so excited to follow along on this new adventure!